Plastic is a truly extraordinary substance with many useful applications but it does not make sense to produce it for just a single use when it is so long-lived, persistent, and toxic in the wrong environment. Disposable plastic shopping bags take around 20 years to break down in the ocean – leaving chemicals and toxic particles (microplastics) behind. A bottle that holds one drink and is disposed of immediately after consumption will take an incredible 450 years or more to break down into microplastic. The majority of all marine litter is plastic and comes from use on the land, traveling via wind and river until it reaches the sea. The energy and economic cost of recycling it is immense and less than 10% is recovered, with 50% going into landfill, some being made into durable goods and much of the rest ending up in the ocean¹. Millions of tonnes of plastic floats in the ocean in giant islands of plastic trash. Unknown quantities have broken down into tiny toxic microplastic particles that act in the same way as micro beads, attracting and binding other pollutants and making themselves more toxic in the process. While it floats and degrades, the plastic leaches marine-toxic chemicals into the water. 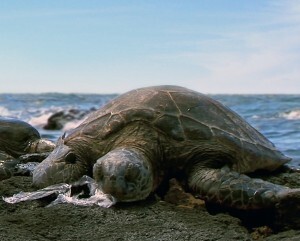 The effects of plastic bags and bottle caps on seabirds, turtles, seals, whales and other species is graphically illustrated by their deaths from starvation after mistakenly consuming the plastic or from getting tangled up in it. Marinesafe Campaign Limited, a company limited by guarantee registered in England and Wales under Company Number 09685620 at Registered Address: Chambers of Miss C Buchan, 9 Savill Road, Lindfield, West Sussex RH16 2NY.